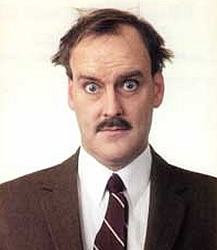 Monty Python‘s fish slapping skit (below) was described by John Cleese, speaking on Seven’s Sunday Night program, as the silliest skit the comedy group ever did. He was commenting about whether he would be married for a fourth time. In context, the joke suggests that we know so little about what will actually happen in our lives that to tell God what we are planning is hilarious. But I guess you got it. Posted in Culture, Film, FindingFaith, God-spotting, MediaMoments, People, Quotable, Religion, Uncategorized.Tagged comedy, Fish slapping skit, God, John Cleese, Monty Python.